I love, love LOVE pasta. If I’m really lazy, I eat it “plain” with some olive oil, garlic, salt and maybe some Parmesan cheese. But otherwise I’m a sauce kind of gal. Pesto works great or gravy. But I don’t like plain old tomato sauce. It has to have something to jazz it up a bit. And jazzed up sauce takes time, so like most things I cook in bulk. Gravy is super easy to freeze and defrost, so generally around this time of year, before it gets too cold, I make a few giant pots of Bolognese. This year I made a veggie version, but my real go to is a nice meaty sauce. 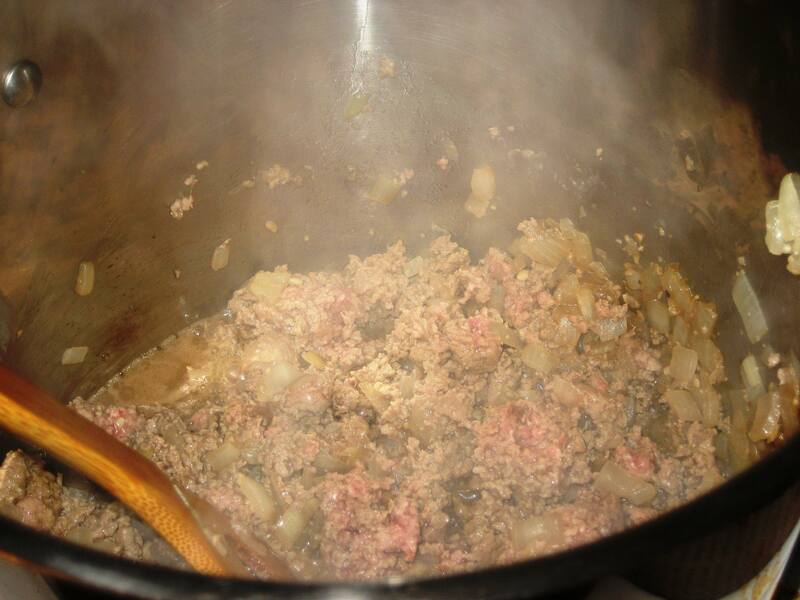 If I can get it, I add ground pork and veal, but otherwise plain old ground beef works just fine. I love making gravy because it makes the house smell amazing. I usually make it on a Saturday or Sunday when I know I’ll be home all day (or maybe just run a few 5 minute errands). After all the ingredients are together, I cook it for a good 4 hours or so. That leaves time for on calm days reading and relaxing, or on busier days, cleaning the house and doing other chores. But as busy as the day might get, knowing that yummy sauce is cooking away, even the most grueling tasks seem a bit easier. 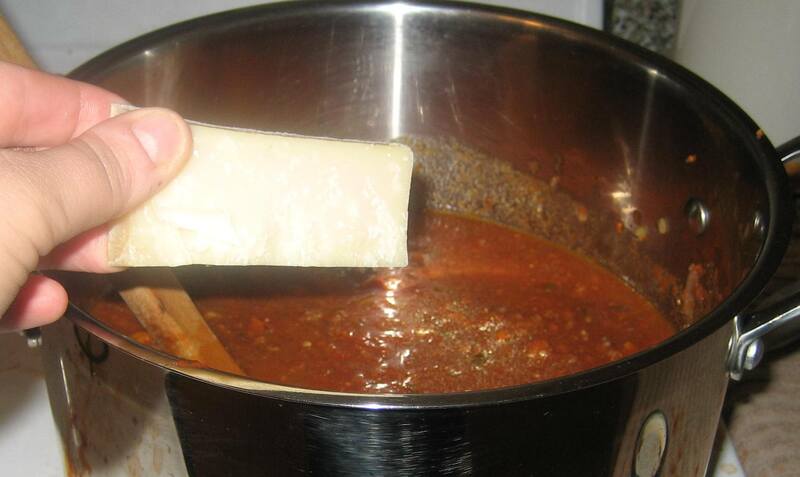 There are a couple basics to making a pot of Bolognese. And forgive me, I’m not a professional chef, so if I’m missing some ingredients, please correct me. Generally I start with onions and garlic, add in some chopped carrots and celery, then beef. Tomatoes of course. And wine is pretty important. I mean, isn’t everything better with a little alcohol kick? I add some Parmesan cheese, really just the rind. I read this in a recipe one time, a 3 inch or so piece of rind that soaks in the pot as the sauce cooks, then just remove it at the end. Toss in some fresh herbs, salt, red pepper flakes, a pinch of sugar or splash of agave nectar to cut the acid if needed and then just let it cook away for a good portion of the day. Certainly feel free to reduce the recipe below. A full pot makes about 4-5 quarts, depending how much you cook it down. I freeze the sauce in quart sized containers. When ready to eat, I defrost the sauce in the fridge then cook it on the stove over medium heat, adding about 1/2 cup water and stirring until heated through. In a large stockpot, heat oil. Add garlic and onions and saute until translucent. And beef and cook until no longer pink, breaking down as it cooks. 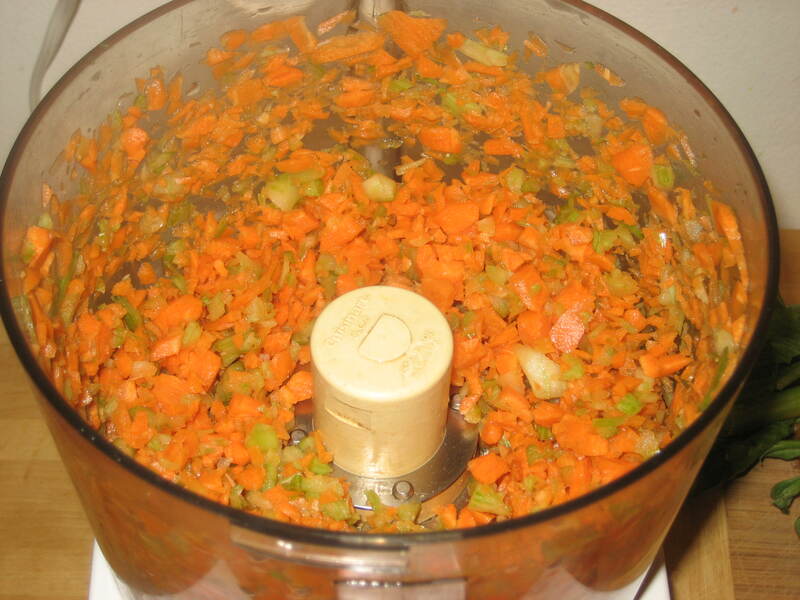 Meanwhile pulse carrots and celery in a food processor until finely chopped. 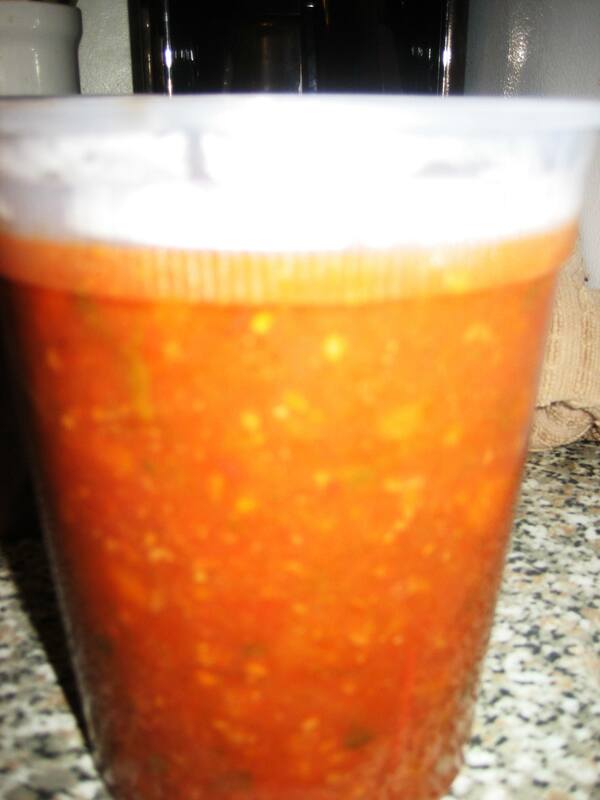 Add carrot mixture to stockpot and cook until carrots soften slightly, about 5 minutes. Add tomatoes and paste, stirring well to blend. Add wine (don’t forget to save a glass for yourself!) and stir. Bring pot to a boil. Add in cheese rind, seasoning and herbs and stir well. 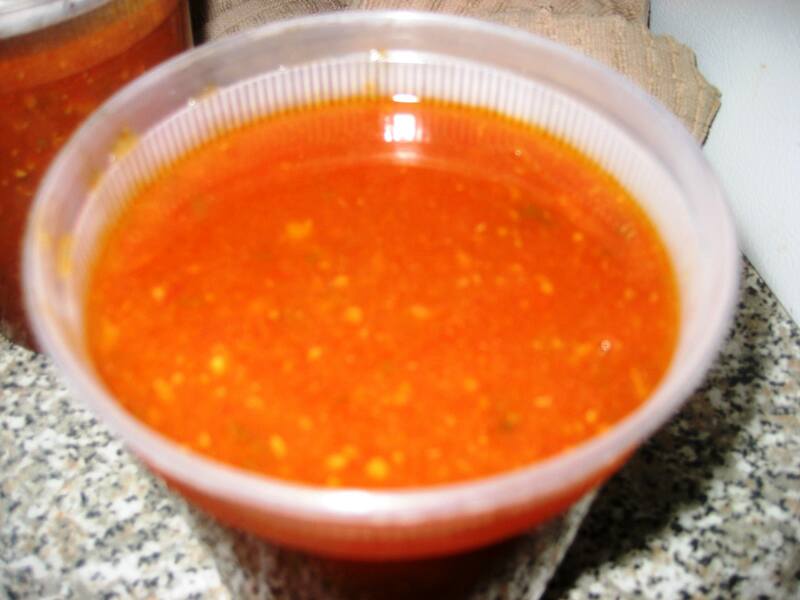 Reduce heat and simmer, partially covered, for about 3-4 hours, stirring occasionally, until sauce has thickened slightly. Pack into plastic containers of choice and freeze for tasty easy weeknight dinners! Hey I’m so glad that you too love to cook. I am Italian and also did a blog on Ragu alla Bolognese. Check it out and see how it turns out this weekend…I’m sure you’ll love it!